There’s nothing quite like entering a quiet, still galaxy of tiny living lights of glowworms. It’s rather like being part of a Harry Potter movie! You’ll immediately experience a serene ambiance and be fascinated by the intriguing little creatures that light your way. And the kids will love it. Glowworms can be found throughout NZ including near the Bay of Islands. Some of the caves and forests that house them in NZ are extremely popular spots that attract lots of foot traffic and are well set-up to cater to visitors. This post is set to help you guide you through some of the best options. But first, let’s touch on why these little bugs intrigue us so much. The word “Worm” is not quite correct, even though the term “glowworms” is used to describe glowing beetles in the Northern Hemisphere, and the intriguing little maggots found in caves here in New Zealand. Yes that’s right – maggots! Here and in Australia, glow-worms are actually the larvae of a special kind of fly known as a fungus gnat. Not the most endearing name is it. The Maori name is much nicer – ‘titiwai’, which refers to ‘lights reflected in water’. These fungus gnats look a lot like mosquitoes. Most are vegetarians, feeding on mushrooms and other fungi. However, there’s a small group of fungus gnats that are hungry carnivores, and the worm-like larvae of these species use their effervescent glow to attract wee flying insects into a snare of sticky threads. All extremely clever really! One of these species, (their formal name doesn’t exactly roll off the tongue, ‘Arachnocampa luminosa’), is found only in NZ. There are some similar species that can be found in Australia, but the titiwai is native and therefore treasured and protected. These intriguing larvae quite enjoy company, so they will hang out in clusters on damp sheltered roofs and caves, looking like a Van Gogh night vista. Caves and old mining tunnels are ideal as their sticky feeding threads don’t get dried out or damaged by wind. In the forest glow-worm snares are most common on moist banks beside a stream or in a ravine, bringing them plenty of yummy insects to feed on. Small midges are their usual prey, but all sorts of flying insects will get trapped in the sticky snares, including mayflies, caddis flies and moths – all ending up as lunch. 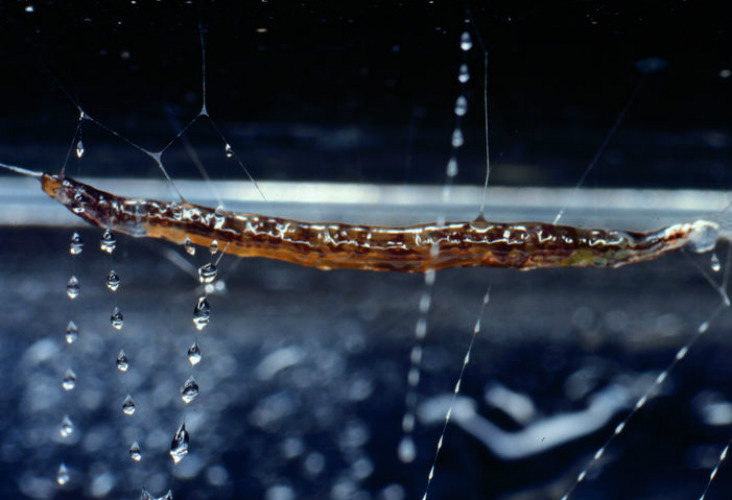 Forest glow-worm snares can get really sticky and end up trapping spiders, plant hoppers and even millipedes. In polite fashion, the glow-worm will actually cut free any prey that’s too big, or unwanted. It’s the glow-worm’s tail-light that produces the blue-green incandescent shimmer. It comes from a tiny organ, which is the equivalent of a human kidney. All insects have this kidney-like organ but the glowworm has a unique ability to produce a light from it. Like many examples in nature this seems a little like pure and utter magic, but can explained by a chemical reaction. An airbag surrounds the light organ, providing it with oxygen and acting as a silvery reflector to concentrate the light. A fungus gnat can glow at all stages of its life cycle (except as an egg), but the larva has the brightest shimmer. A beautiful glowing maggot – who would’ve thought? In dark caves, the insects light up at any time of the day or night. Outdoor glow-worms start glowing shortly after dark and usually shine all night while it’s dark. Sometimes when noise or predators disturb a glow-worm, its light seems to dim then go out. This is the larva slithering into a crevice, hiding its light. It takes few minutes for the larva to ‘shut off’ it’s light – so curling up and blocking in the light (like covering your torch in a sleeping bag) is it’s only option. Glow-worm predators include the long-legged harvestman, a close relative of spiders, that can nimbly move through the sticky snares without getting stuck. And glowworms can also eat each other! There’s sometimes cannibalism in dense glow-worm populations over what scientists think is territorial disputes. But around 40% of glow-worm pupae in caves are killed by a white fungus that smothers their body. Glowworms can be found throughout New Zealand in damp, overgrown places like lake and riverbanks, caves and forest undergrowth. Locals may point out he odd hidden spot where you can see them, but usually they’re off the beaten path, or quite a hike away in a random cave. There are some popular, accessible spots that attract tourists from all over the globe that cater specifically to expectant glowworm audiences – and offer the most worms for your efforts! Thanks to visitor numbers over the years, there are plenty of excellent guided tours established in each of these spots, catering to various fitness levels, mobility and budgets. Depending on the glowworm area, guides can include night time kayaking, hiking, rafting and boating trips, where experienced and knowledgeable guides will entertain you and talk you through the biology of these magical wee creatures, and offer insights into their cultural and historical importance, and that of the surrounding environment. 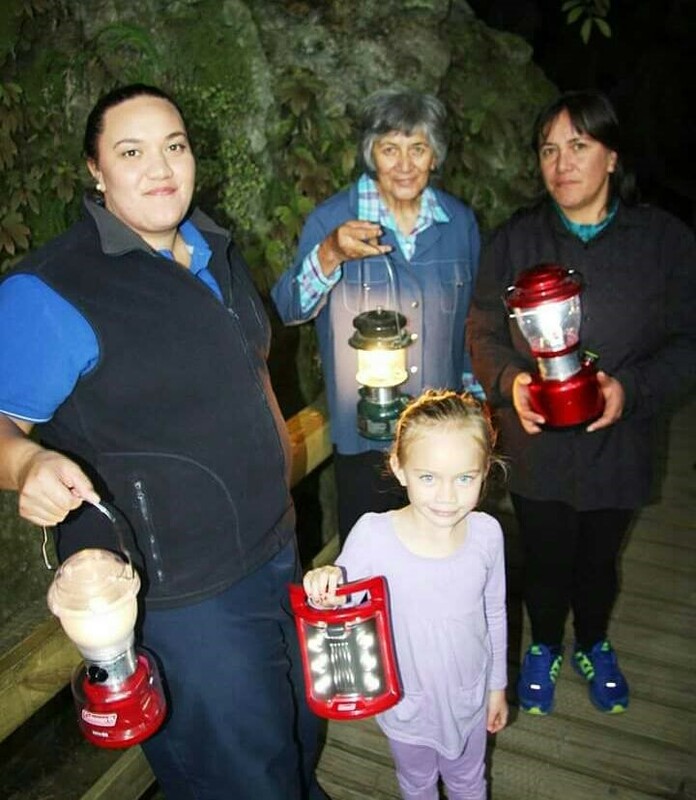 Most glowworm caves have an entry fee associated, which usually goes towards the upkeep of the environment, or to the local iwi kindy allowing visitors onto their precious, treasured land. The Kawiti Caves – one of Northland’s best-kept secrets – are a small family-operated venture where glowworms are only half the attraction. You’ll get an intimate tour of the impressive limestone stone caves set in dense, native bush, as well as an awe-inspiring glowworm display. Although the titiwai are indeed dense and bright, people come from far and wide for an experience that is focused on Maori history and culture. Te Tawai Kawiti, great grandson of the famous northern Maori Chief, Kawiti, first established the limestone cave tours in the 1950’s. 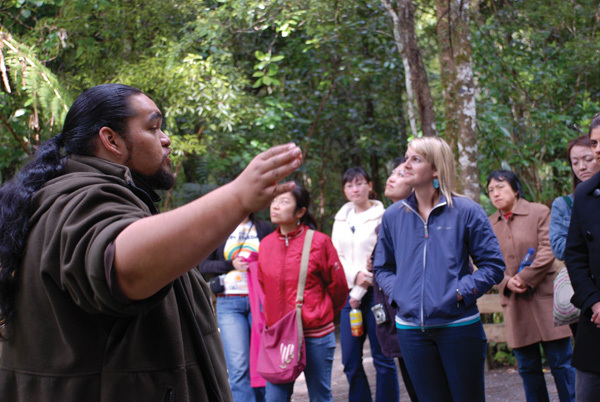 The family says that Te Tawai offered a unique insight into early Maori culture while talking visitors through the intricate rock formations, that his entertaining tours soon became popular. The whanau (family) have continued what he started over generations. The experience is low-key by comparison to the magnificence of the overwhelming Waitomo caving complex outlined in ‘must see’ tourist trails. But the ‘personal touch’ is part of why people love it. Kawiti Caves is a tiny rural area. Most accommodation is in the form of cottages or farm stays and is limited. It’s so close to Paihia so people seem to base themselves here. From Paihia, your tour guide drives to Hokianga, where you’ll meet your local Māori guide. Hokianga was the arrival point of Kupe, the adventurous voyager from Hawaiki on the west coast. It’s a stunning region of Northland and is well known for its large harbour. You’ll head into the ancient forest to see the oldest and most sacred living giant kauri tree in New Zealand, Tana Mahuta. Discover why Māori believe that this mighty giant is Tane Mahuta, the Lord of the Forest, and what makes this native tree species so special to Aotearoa. Spend some time in the quaint seaside village of Opononi before following the historic trading route, and ending the day at the Kawiti family glow worm caves. Tours depart daily during business hours, all year round. The quickest tour is 45 minutes. These caves offer one of the most popular glowworm experiences in the country. The area is well established to cater to large volumes of visitors, so it’s easy to navigate your way to, park and find food. 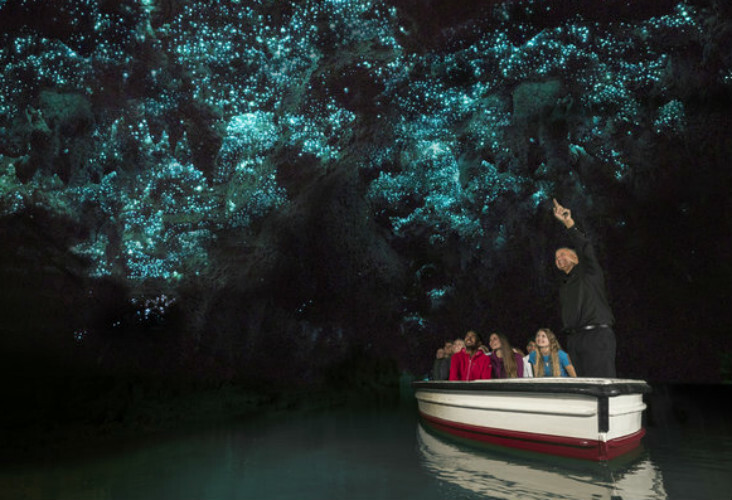 You can buy a basic entry ticket, and stroll underground along the Waitomo River (which is well-worn and easy to navigate, albeit with stairs) and you can stand and gaze in awe at the myriad of living lights above. But we would recommend the boat experience if you can! Or adding on extra activities available. There’s a bunch of caves on offer, depending on time you have to tour through each one, and your budget. You can even choose to go tubing, abseiling and ziplining, step through waterfalls and elect to get very wet. The caves are open all year round. In winter we’d suggest bring extra layers as it can get pretty cold underground. Another popular activity is black water rafting where you’ll be sure to see glowworms on your way weaving through dark tunnels. There are plenty of good places to eat as well, with a large visitor centre near the entrance way (pictured above). 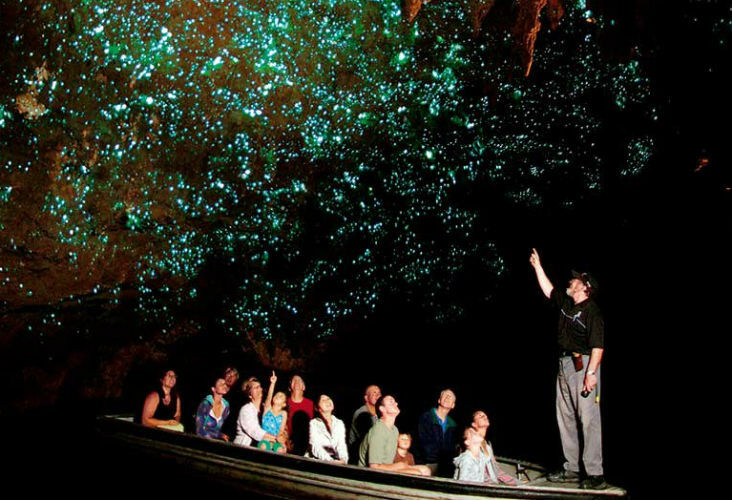 Mother Nature’s light display is especially memorable and extra surreal, as you glide silently through the ‘Glowworm Grotto’ on a slow boat. Waitomo and the surrounding area caters to all tastes, from low-key backpackers to luxury-hunters. There are farm stays and B&B’s on offer, as well as standard-star motels and units. 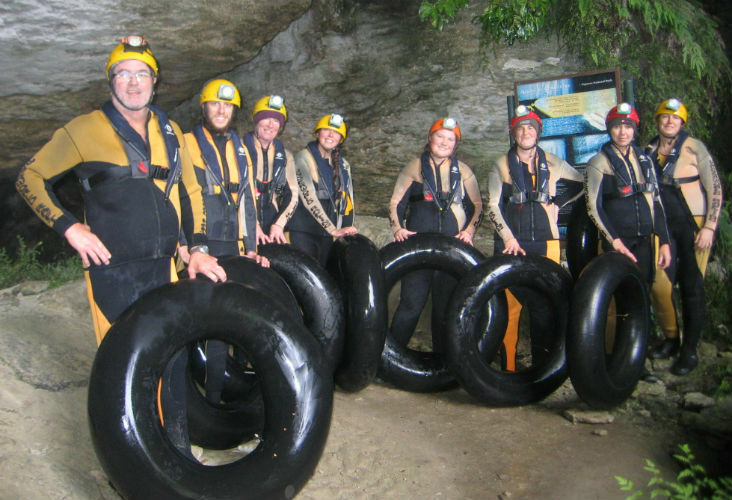 If you’re based in Auckland and deciding between a Bay of Islands glowworm jaunt or Waitomo, it really depends on what sort of experience you’re after (and of course, budget). The driving distance is similar, so it can be a hard choice for some visitors. The actual glowworm experience is more extravagant in Waitomo and will arguably have more impact due to its jaw-dropping scale. People may be attracted by the comfy amenities nearby, and want to tick it off the kiwi bucket list! There’s definitely a reason these caves have been attracting tourists for decades. We are bias of course, but note that many tourists choose to see Kawiti as it’s not as touristy and hectic, plus you get a really authentic, colloquial, cultural experience as your guide holds an old lantern and walks you along boardwalks that were built by other members of the family. 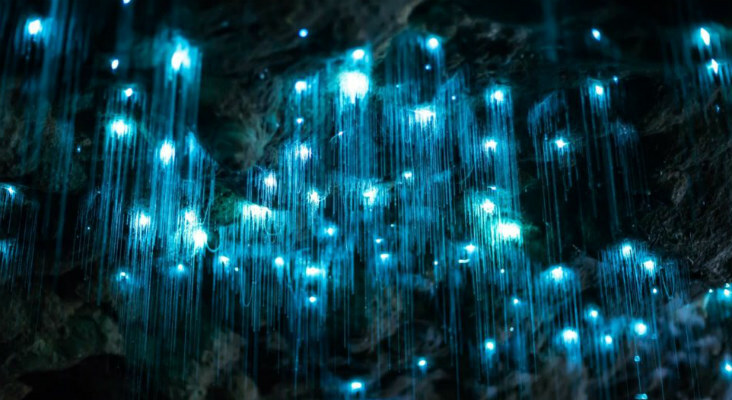 The glowworms themselves are just as magical and bright, but not comparable in terms of scale to Waitomo. Kawiti is a beautiful excursion into the dense forest of the region, and as it’s so close to Paihia you can add on a few cultural (and free!) experiences in the area, or a beach stop off. The choice is yours, and if you’re lucky enough to be in NZ for a while you should include them both! Follow SH 6 in the historic township of Charleston – 20 minutes drive south of Westport or 30 minutes drive on SH6 north of Punakaiki and the Pancake Rocks. Note – you have to like caving for this one! This Wilderness Eco-tour lead by “Underworld Adventures’ explores the enormous Nile River Cave System deep in the Paparoa National Park. This is actually one of the few cave systems you can see in its natural untamed wilderness state. So it’s really a caving trip with glowworms as a lucky add-on. You can also elect to do other water activities like this crew…. From Charleston Base, a short drive takes you to The Nile River Canyon to board the ‘Nile River Rainforest Train’. Punters journey into the lush forest, surrounded by impressive limestone cliffs, and take a walk to the cave entrance (that does include a lot of stairs!). Leaving daylight behind you’ll get close to an ancient wonderland sculptured by water and decorated with fragile calcite formations, and then get really close to amazing galaxies of glowworms. There are other activities available through Underworld Adventures like rafting. Thanks to other attractions like Punakaiki Rocks, beaches, and the historic township, there are plenty of motel options around as well as beach houses to rent. Look for well-insulated, snug accommodation in winter months! Departs daily all year round, from the Real Journeys office on the lakefront of Te Anau township. There is also an option to leave from Queenstown as well during summer months. Te Anau Glowworm Caves tours are run by ‘Real Journeys’, and starts with a memorable scenic cruise across stunning Lake Te Anau on one of their purpose-built cruise vessels, which is a treat in itself. 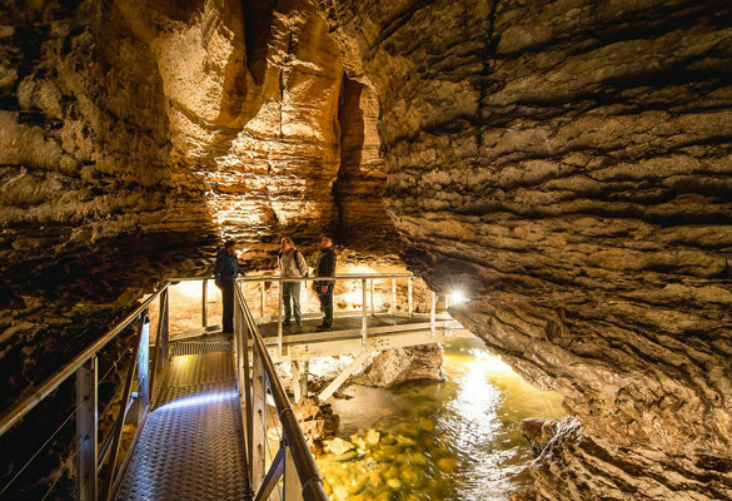 On the tour of the underground caves on the other side, guides will point out highlights and share knowledge as you head through the twisting network of limestone passages filled with sculpted rock, whirlpools and even a roaring underground waterfall. After your walk through the caves you’re taken by a boat into a quiet hidden grotto filled with glowworms. Te Anau is the gateway to Fiordland National Park and Milford Sound, so there are no shortage of options around here – although bookings can get tight over summer so plan ahead. There’s a huge market here for high-end places to stay like luxury resorts or 5 star hotels, but thankfully backpackers and more “standard” accommodation is also available. As well as plenty of private homes for rent. For other ideas to enjoy the great outdoors in the Bay of Islands, check out our blogs on waterfalls, local walks and hikes, and a guide to wildlife and nature.